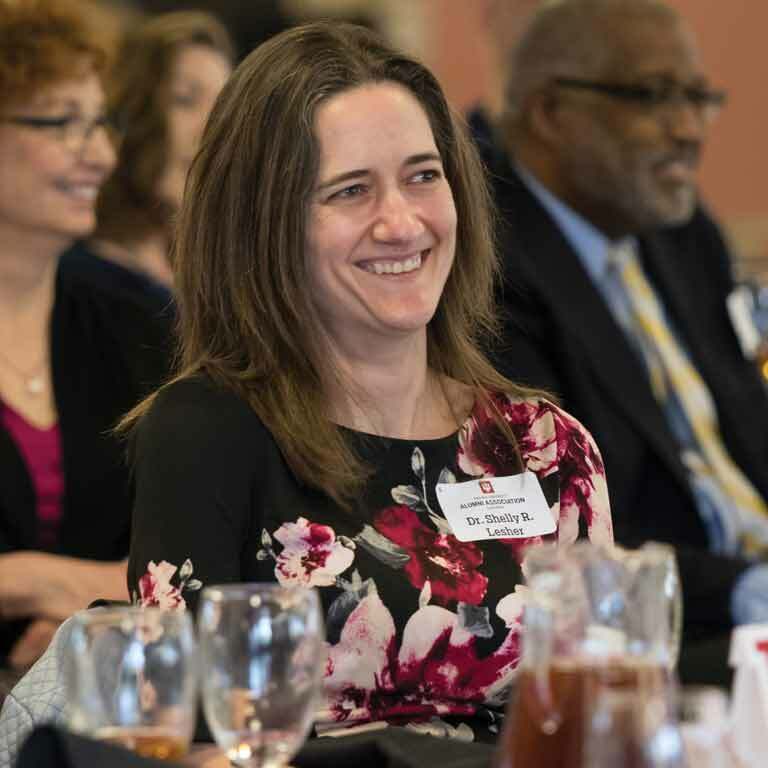 The IU South Bend Alumni Association honored six alumni from IU South Bend in the second annual Alumni of the Year Luncheon on April 22. The alumni recognized set a high bar of accomplishment. 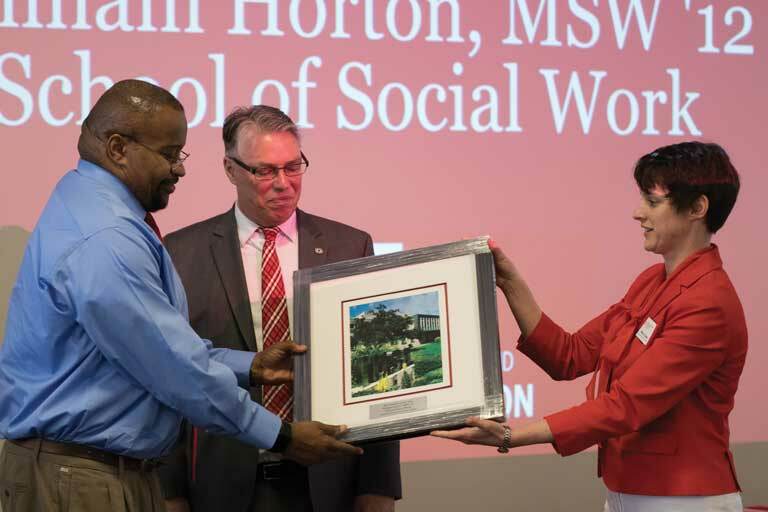 The impact they all have on their respective communities serves as a testament to IU South Bend’s mission as a university, where we seek to educate those who fuel the local economy, enhance social development, and improve the quality of life for all. William Horton earned a Master of Social Work in 2012 and is the interim director of the Fulton County Department of Child Services and the assistant director/division manager of the Indiana Department of Child Services for St. Joseph County. He uses his talent for empathy and his ability to relate to a diversity of experiences to ensure children thrive in safe, caring, supportive families and communities. Susan Jacobs, assistant director of the Alpena County Public Library, serves as a caretaker of her community by connecting library patrons to sources of knowledge and imagination, providing equal access to information and adventure. Susan earned a Bachelor of Arts in History in 2010. After graduation she earned a Master’s degree in Library and Information Science at Wayne State University. 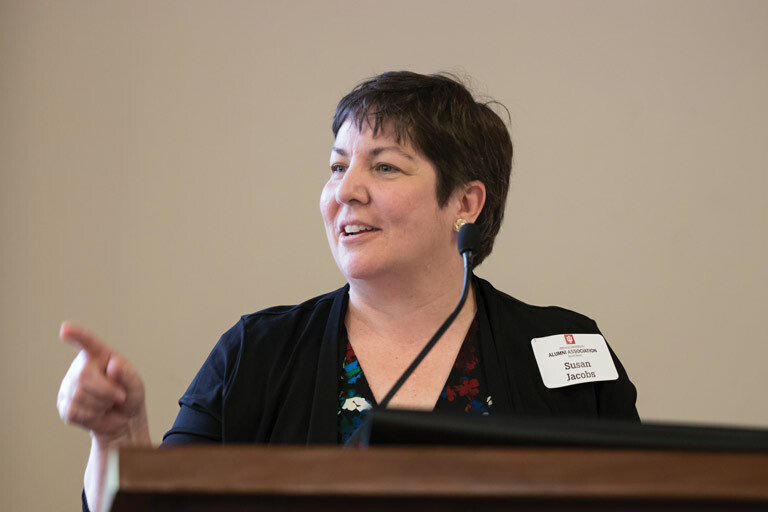 Shelly Lesher’s curiosity led her to become an assistant professor of physics at the University of Wisconsin–La Crosse, with a focus in experimental nuclear physics. She passes on the collaborative skills she honed as an undergrad to her current students as the director of the Conference Experience for Undergraduates program for the Division of Nuclear Physics. Shelly earned a Bachelor of Arts in Physics in 1999. Talandra Neff earned a Master of Science in Special Education in 2007 and is the director of student teaching and clinical practice for the School of Education at IU South Bend. She creates a legacy of knowledge in her role working to advance the experience of her students as they gain classroom hours instructing our region’s youth. In doing so, Talandra has strengthened and expanded the university’s relationship with local schools. Loretta Schmidt brings more than 20 years of experience to her role as chief nursing officer for St. Joseph Health Systems’ Mishawaka and Plymouth campuses. 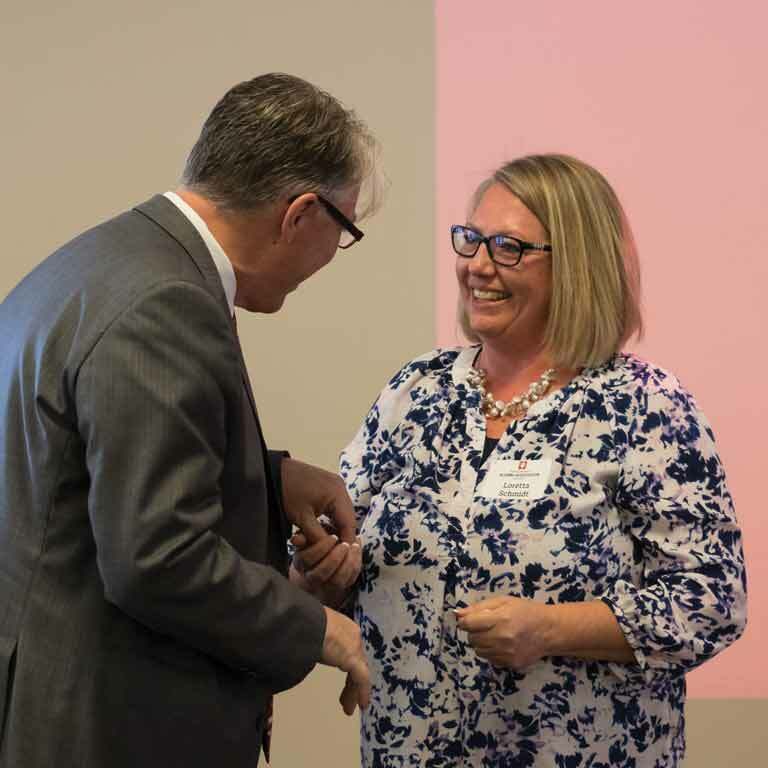 She provides strong leadership to approximately 800 nurses in caring for the health of our community by relying on the skills of support and care developed as a nursing student at IU South Bend. Loretta earned a Bachelor of Science in Nursing in 1992. 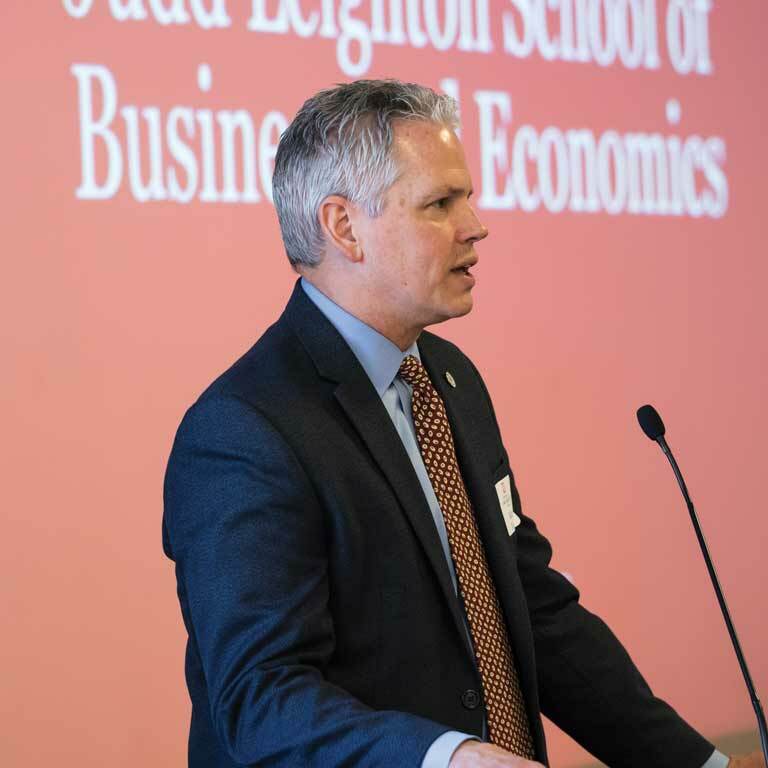 Alan Steele earned a Bachelor of Science in Business Administration in 1983 and is the regional director of the North Central Indiana Small Business Development Center. He is committed to growing business opportunities in the South Bend region through his work. His sense of place encourages local entrepreneurs to make their dreams realities in the communities in which they live. 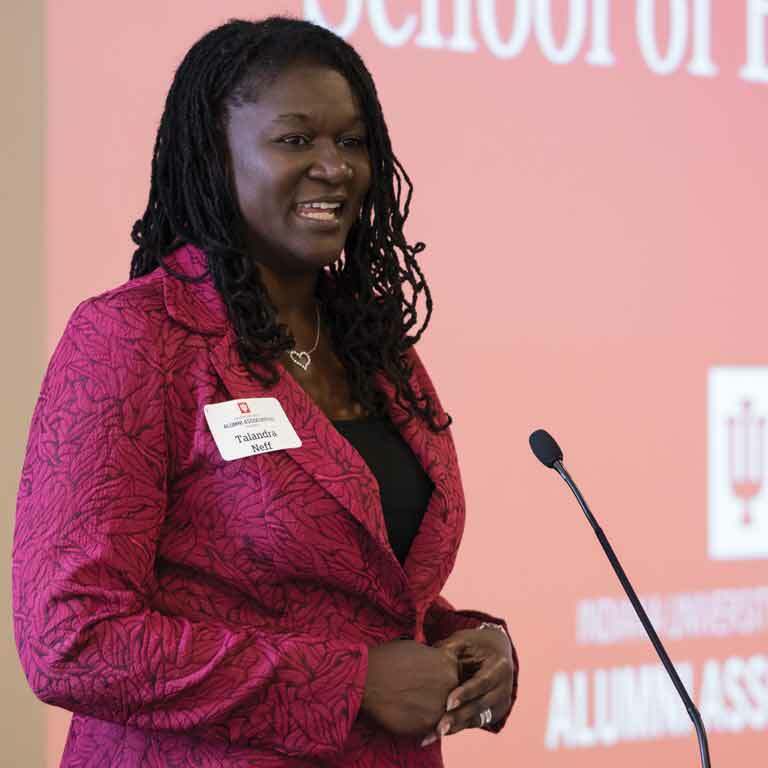 Our alumni honorees exemplify the qualities of empathy, service, curiosity, knowledge, leadership, and commitment to local growth and represent the best parts of an IU South Bend education. We are proud to recognize them for their achievements. Written by Mallory Jagodzinski, PhD, assistant director of alumni relations.